:Rrenovated office building with 30 parking spaces Two floors of 1866 sq. ft. Both floors or individually can be taken. New electrical in 2013, new roof-top HVAC in 2011, new 25-year roof in 2013, new hardwood and tile in 2013 and newly wired internet throughout. Large boardroom, new sink area, 2.5 baths and four bright offices. Main Floor: A more open concept with custom stations, each wired for internet, two private offices - all with lots of natural light and 2.5 baths. $8.25/per square foot monthly +cam. CALL AGENT REGARDING ACCESS, NO LOCKBOX. 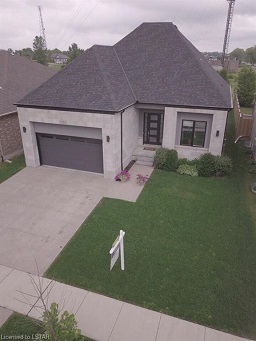 CONDO ALTERNATIVE or fantastic single family home. One of a Kind custom built. 10 foot high ceilings on the main level with MASTER, 5 PC ENSUITE and large walk in closet. 2nd bedroom on main or den/study with 8 ft double doors. Open concept kitchen is a chef’s dream with WHITE GLASS island & quarts counters, lower cabinets are soft close pots and pan drawers & upper also soft close and all WHITE gloss to ceiling. Under cabinet lighting & finger touch on/off faucet/walk-in pantry Quartz counters in all bathrooms. Wired for sound, 6 speakers including 2 outside. 4 ft long fireplace in Greatroom/lateral flame & glass. Hardwoods & 1’x2’ ceramic flooring throughout. Oak staircase/glass panels going from the 2nd floor to basement. 6“ baseboards throughtout & pots galore throughout. 2 Large upstairs bedroom each with walk in closets and a Jack/Jill bathroom/pocket doors. 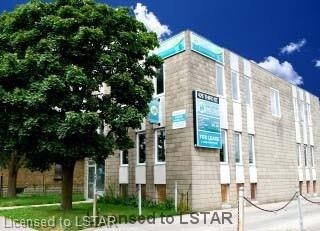 Located in the heart of Byron building has fibre-optic high speed internet servcies Large space with smaller office and reception area. Please to show, complimentary parking Multi-tenant sign box available CAM CHARGE 280.21 PLUS TAXESt suzanne@suzanneotoole.com for private showing this whole home.